What are the consequences for you and those you know of skipping bail? Home > Bail Bonds > What are the Consequences of Skipping Bail? What are the Consequences of Skipping Bail? Of course you want to avoid what’s coming. Nobody actually looks forward to their court date after being arrested. But let’s start with the obvious … skipping bail has consequences that will impact you for a long time. But let’s say for a second that you’re OK with that. 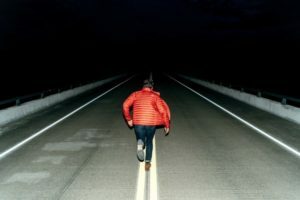 You believe that you can take what’s coming as a consequence of your decision to skip, and perhaps you even believe that you can evade law enforcement and bounty hunters forever (hint: you can’t). Here’s the thing. These consequences don’t just apply to you. There are pretty significant impacts on the person that posted bail or created the bail bond, securing your release (i.e. the person or people who bailed them out of jail). Avoiding your commitments (showing up for your court date) is a terrible decision for the arrestee as well as friends and family members. What Does Skipping Bail Actually Mean? When a person decides to skip bail, it means they avoid attending their scheduled court appearance after being released from jail in the interim. The whole point of setting bail is to make sure that there is a financial reason for the person who was released from detention to show up to their court proceedings. If they fail to do so, the bail money they posted for their release is forfeited to the courts. Equally, if a friend or family member established a bail bond, then that person has to make good on the full bail amount if the arrestee doesn’t show up. This is why establishing a bail bond includes not only providing the principal (usually 10% of the bail amount), but also collateral on the remainder of the bail amount. The financial outcomes are hard enough. Bail amounts are generally high, and usually represent a pretty substantial portion of a family’s savings or financial resources. It can be seriously inconvenient, not to mention risky, to have that amount of money held by the court system and unavailable for the family’s needs, but imagine the impacts of losing it all with no opportunity to reclaim it. This may represent years and years of savings – money that may be destined for retirement, a kids college fund, purchasing a home or any number of life-changing investments. But it doesn’t stop there. Even after losing the bail money or having to make good on the bail bond through loss of collateral, the arrestee will still have a warrant issued for their arrest. If (when) they are apprehended, not only will they still be facing the original charges (and this time with almost no chance for pretrial release), they will also have new criminal charges associated with missing court and seeking to avoid capture. And friends or family who provided any support to them during this time are likely to face their own charges. Nobody would deny that facing court is a daunting situation. Some people must do it with the knowledge that they are not guilty of the charges against them, which makes the prospect of the process frightening. And whatever you believe about the nature of the criminal justice system, there really are no situations in which avoiding court will be the better option. If you’re tempted to consider this pathway, take a minute to think not only of how it will impact your own life, but the lives of those around you that you care about. If you have questions about next steps in your court proceedings or bail process, our bail agents can help you understand how to make the best of this bad situation. Contact us today or call us at 410-367-2245, 24 hours a day, 7 days a week.